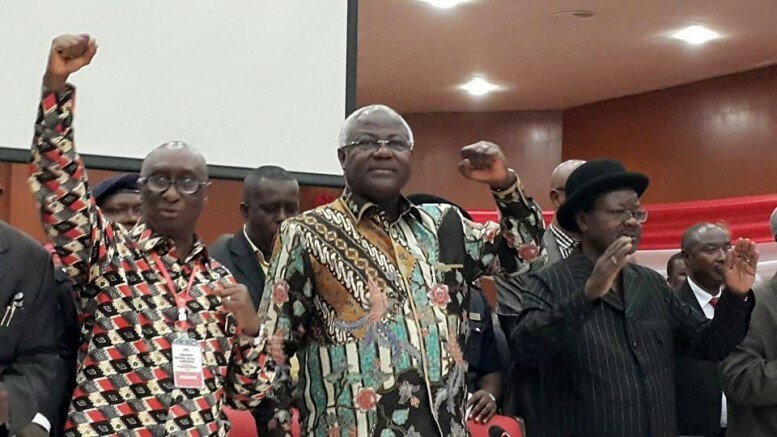 Since coming to office in 2007 it is increasingly becoming the norm for president Koroma and senior ministers to harvest huge sums of money from the accounts of state enterprises and institutions, in support of their personal charitable projects. This unacceptable behaviour is totally against the principles of good public finance management, which those appointed by the president to sit on the respective boards of state enterprises and institutions are expected to respect and uphold. During the Ebola crisis, millions of dollars were donated to State House from the accounts of poorly managed public institutions that are struggling to provide the barest of services to citizens, because of the lack of funding. Yet the directors of these institutions feel duty bound and obligated to raid their meagre finances – mostly at the request of State House, as a token of appreciation for their appointment to sit on these Boards. This corrupt practice must be frowned upon by the country’s Anti-Corruption Commission. Indeed, there are serious concerns that State House is yet to account for the Hundreds of Millions of Leones received from the Boards of State enterprises and publics institutions towards the Ebola campaign fund. Whilst it is noted that very few presidential appointees sitting on the Boards of State enterprises and public institutions are competent and are there on merit, it is morally and legally unacceptable for those appointees to feel that when its pay-back time, they must hand over cash meant for basic service delivery. Every year the ministry of finance goes through a complex and difficult round of budget allocation across ministries, departments and agencies, based on needs, in support of staff costs and overheads. Most of these public institutions and agencies can hardly afford to pay the monthly salaries of their workers, let alone invest in service delivery. And worse, there are no public institutions or agencies in Sierra Leone that maintain a balanced budget or run a surplus, with the possible exception of the state lottery that occasionally takes in more than it pays out. So where do these agencies and institutions get the hundreds of millions and sometimes billions of Leones to donate to State House? It is no secret that many state enterprises are abusing their overdraft arrangements with the government owned Sierra Leone Commercial Bank, just to survive. Many senior management staff and non-executive directors of state enterprises are also making use of this overdraft facility to enhance their personal finances. In some cases, when pressed upon by powers from above to donate to State House, management of these institutions have no alternative but to borrow from the banks or use monies meant for the payment of workers’ salaries. As Awoko reported yesterday: “Sierratel was among the first institutions to make a donation to the tune of Two Hundred Million Leones (Le200m) to the President and government of Sierra Leone in the fight against the Ebola epidemic. With State House still considering how to respond to calls for accountability for the hundreds of billions of Leones it received for the Ebola campaign from state institutions and enterprises – ‘robbing Peter to pay Paul’, State House has now set up another multi-billion Leones money making scheme in the guise of helping those affected by the recent floods in the country. And the man leading this new money making scam is no other than the vice president, who is notoriously well known for the 1980s multi-million dollar Vouchergate scam. Appointing the mouse to watch over the cheese? According to government sponsored media: “Vice President Victor Bockarie Foh on Tuesday 22nd September, 2015, officially launched the Flood Response Account at the Rokel Commercial Bank. One of the first so called ‘state philanthropists’ to respond to the vice president’s call – payback time, as he would put it, not surprisingly is a State owned enterprise – Sierratel, one of the most poorly managed and cash strapped institutions in the country. Awoko reports also that; “Sierratel donates one hundred million Leones to flood victims”. This is a state enterprise that is struggling to pay the salaries of workers, let alone provide a reasonable standard of service to the tax payer. “Presenting the cheque to the Vice President, the Board Chairperson of Sierratel, Mrs. Alice Onomake said she was presenting the Cheque on behalf of the Board of Directors, Management and Staff of Sierratel. She furthered that as a corporate institution providing telecommunication services in Sierra Leone, there is every need for the company to show solidarity to the affected victims. “Receiving the One Hundred Million Leones donation from Sierratel, the Vice President, Victor Foh stated that Sierratel has indeed owned up to its responsibilities as a national institution in complementing the efforts of government to support affected victims of the flooding. 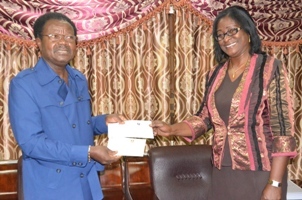 It is worth noting that immediately after receiving the cheque from Sierratel, the vice president commented on the poor performance of the enterprise in meeting the telecommunication needs of the people of Sierra Leone. Proper Procurement Procedures Not Followed. It was observed that proper procurement procedures were not followed for expenditure undertaken in the sum of Le2,606,083,573 (2.6 Bllion Leones). Difference Between The Expenditure Schedule And Expenditure Balance. In The Financial Statement It was observed that a total difference of Le4,881,397,322 (4.3 Billion Leones) existed between the Summarised Expenditure Schedule and the Financial Statement. expenditure. Overpayment Of Funds To The Government Of Sierra Leone. As per joint agreement between Teltac and Sierratel, monthly payments of $ 50,000 were to be made to the GOSL for poverty alleviation, but in the months of Oct, Nov, and Dec, overpayments of $1,362, $30,878 and $1,251 were made to the Government of Sierra Leone above the monthly payment of $50,000. In addition, GOSL was paid $200,000 in the month of April instead of $100,000 and no reasonable explanation was given for that variation. Inadequate Supporting Documents In Respect Of Revenue. Amounts stated as revenue from national telephone, International Telephone and Telephone lines rental totalling Le2,822,928,839 (2.9 Billion Leones) could not be verified as adequate supporting documents such as receipts and bills issued to customers were not provided. 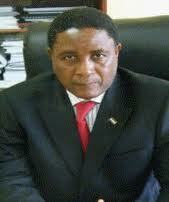 Control Weaknesses In Revenue Collection. It was observed that the IT system which computed bills that charged customers, had no access restriction in the inputting of data. For example, there was no password control to access the computers; therefore, the auditors were unable to rely on the information generated from the system. Inadequate Supporting Documents In Respect Of Deferred Income. It was observed that amounts stated as deferred income totalling Le959,575,312,000 (959.5 Billion Leones) could not be verified, as the basis of calculation and supporting documents were not provided to the audit team. Inadequate Supporting Document To The Other Payables. Amounts stated as other payables amounting to Le 1,591,713,000 (1.6 Billion Leones) could not be verified as a schedule and other supporting documents were not provided. It was recommended that Sierratel should provide all supporting documents in respect of the other payable balance and ensure that a proper and updated record was kept and maintained in respect of the account balance in the financial statement. Inadequate Supporting Documents In Respect Of Trade Payables. Payable confirmation letters were sent to Airtel, Tigo, Chell Holding and Sprint to confirm payables totalling Le 23,378,203,816 (29.3 Billion Leones) but no confirmation was received by the auditors up to the end of the audit. No Confirmation Received From National Telephone Subscribers. National telephone subscribers and other receivables totalling Le 38,826,881,170 (38.9 Billion Leones) could not be verified as no supporting documents were provided to confirm the completeness and accuracy of the amount. Inadequate Supporting Documents In Respect Of Tax Liability. The Auditors were unable to verify the balances on tax liability totalling Le8,635,166,398 (8.6 Billion Leones) as a schedule and supporting documents were not provided to the Audit team. In 2013, not much improvements were achieved at Sierratel, according to the Auditor General’s 2013 Report. The budgets of state enterprises, ministries, departments and agencies are not emergency contingency accounts for an incompetent government that not only fails to do its sums properly, but fails to account every year, for monies that it spends. The ministry of finance, having allocated annual budgets to the respective institutions must be left alone to monitor and ensure that budgets are utilised for the purpose for which they have been allocated – the effective and efficient delivery of services. The corrupt practice of using institutional budgets to donate millions of dollars to State House is backdoor corruption. Appointing pliable, politically compromised and incompetent individuals to sit on the Boards of State enterprises, only to ensure that they will grease the palms of those occupying State House is illegal and immoral. When I saw the photo of Vouchergate Foh receiving the Le.100 million check from a useless state institution, I could not stop laughing out loud, because who doesn’t know that corruption is in the DNA of this man. As they say, people get the leaders they deserve; for governance in Sierra Leone today and in its past history is a Mafiosi operation. The cause of our socio-economic problems is a function of poor corporate governance. It started with the shift in economic policy, from a free market ethos to a mercantilist one where the state plays more role in the economy than it should under this government. This is because it is only a system of state capitalism that allows this type of manipulation or “shake down” of businesses and their key players to benefit the cronies, friends and family members of the government. It is worth making this point because our country should be doing very well in the current global and liberalized marketplace, especially with the unlimited opportunities for capital, where firms relocate to places where the cost of doing business is low, where the free market works with moderate efficiency, as they take advantage of economies of scale, and then make profit for their owners and other stakeholders. This is why the last government built institutions, created the international goodwill, and made the structural reforms necessary for our economy to take off, only to be reversed by this government and return to what we are seeing today. Thus, effective corporate governance is what we need in Sierra Leone, for without the financial and legal framework for regulating the relationship between a company’s management, and its shareholders, investors will not invest their resources. As a result, our country is losing out on the massive privatization that is currently taking place in other developing and emerging market economies due to private investment. These investments are making remarkable difference in the lives of the citizens of these countries and it is therefore vitally important that we improve our corporate governance in Sierra Leone, so that shareholders can receive fair returns on their investments. What these firms are paying is effectively a protection racket. We don’t have governance in Sierra Leone, we have the mafioso. But we cannot blame the government alone. The boards of these institutions who make these donations in their own efforts at self preservation are to blame, as we as their customers who accept poor standards of customer service at extortionate prices. Where are the leaders in industry who are making their voices heard. They too have been co-opted voluntarily into the cesspool of Sierra Leone society. Phewwww. You know what? This corrupt Koroma government must not only be held to account, but those bearing the greatest responsible for stealing state funds must be sent to jail. Monies allocated to state institutions must be utilised for the provision of services that can improve the lives of our people. I also do not buy into the argument that says that it is alright for state institutions to donate their revenues to the president so that he can spend that money on whatever he deems fit – be it emergency or otherwise. It is not the business of state house to collect money from people and organisations to help government deal with crisis. It is for the relevant departments to plan, organise and deliver appropriate interventions – using the budgets that have been allocated to them by the ministry of finance, including contingencies for emergencies. I expect the likes of vice president Foh to know better, than to go around creaming off the bank accounts of state enterprises. This is corruption. Did he not learn anything from the 1980s vouchergate scandal where he was accused of stealing millions of dollars from the state? ‘A monkey never stops its old tricks.’ He is at it again. Sad for the poor people of Sierra Leone, who have to put up with depraved politicians, whilst they (the people) are languishing and dying in filth and poverty. Not to worry, if there isn’t a crisis, Sierra Leone will create one so that it can skim funds from international donors and well meaning people. In all my years in Sierra Leone, I don’t remember ever meeting anyone who I would consider honest although there are several who pretend to be. Being elected in Sierra Leone is a bit like winning a race in the special olympics. I’m not sure if people are retarded or just plain criminals but I would hazard that it’s a bit of both.